Within the sea of students that engage in regular alcohol consumption, it can be difficult to spot which college kids are drinking problematically. It is often said that drinking alcohol goes hand in hand with college. Between Thursday and Sunday, college students congregate to consume alcohol. While the majority of young adults attending college do not have drinking problems, there are some students whose drinking behavior has gotten out of control. To be sure, a person who works in the field of addiction medicine could attend a college party and be able to spot the young adults who may have a problem with alcohol. However, that is not a luxury that college faculties have at their disposal. Which is why researchers continue to look for ways to best influence the decision making of young adults when it comes to drinking. Humans are not machines that can easily be understood. We are complex beings, all of us with different backgrounds, upbringings and genetic coding. While we do not have an instruction manual for the human brain, we might be able to learn something about drinking behavior through the lens of engineering. At Ohio State University, a team of social workers and engineers utilized mathematical models to assist in shining a light on the factors that drive alcohol consumption, Newswise reports. 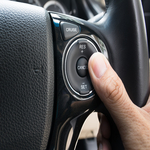 The research team’s findings allowed them to compare the decision making process of young people’s drinking behavior to that of a cruise control system that you find in your car. Your car will know when to speed up or slowdown in order to maintain the desired speed (equilibrium), just like a person will drink more or less to maintain a desired feeling. The findings were published in the journal IEEE Transactions on Cybernetics. "The way the students made decisions about drinking actually resembled the single most common feedback controller that's used in engineering," said Ohio State engineer, Kevin Passino. "It's called a proportional-derivative controller, and it measures how far a system has moved from a particular set point and adjusts accordingly. It's the same as cruise control on a car." The use of engineering models, and the information they produce, can help experts determine when to intervene regarding drinking patterns. Such models could reveal hidden relationships about high-risk drinking among college students. "We're looking for the best points to intervene strategically, so that we can aid a person in their decision-making and potentially derail problematic behaviors," said John Clapp, a professor of social work and director of the Higher Education Center for Alcohol and Drug Abuse Prevention and Recovery at Ohio State.